Sun Bum skin care products were launch in the summer of 2010 at the Surf Expo tradeshow in Orlando, Florida. From this showing, the quality of Sun Bum ingredients caught the market by surprise. Sun Bum, located in Cocoa Beach, has a simple mission; they want to protect friends and families who are growing up in the sun. The truth of our environment is that one in five Americans will get skin cancer in their lifetime. People will not stay out of the sun so they need to use skin protection that has been tried, tested and approved. The Skin Cancer Foundation (SCF) has approved the Sun Bum sunscreen products. These skin care products were measured against the SCF’s very rigorous standards. A range of products of very high quality has been formulated to protect those that love this outdoor lifestyle. There is hope; if these sun care products are regularly used the risk of getting skin cancer drops to only twenty percent. 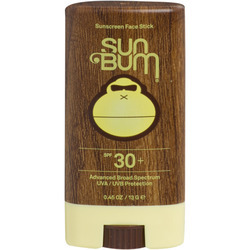 Sun Bum Sunscreen Lotion is available in a range of Sun Protection Factors (SPF). This factor is indicative of the percentage of the UVB (the rays that burn us) that are blocked. A SPF of 15 blocks approximately ninety-three percent of sun’s rays; whereas, a factor of 100 blocks about ninety-nine percent of these dangerous rays. Sun Bum also supplies Vitamin E in their moisturizing formulas; this helps to neutralize the free radicals that are formed from UVA (skin aging rays). UVA rays cause premature aging of the skin. These moisturizing sunscreen lotions have a broadband of protection against UVA and UVB. These lotions are ultra waterproof as well as sweat proof. In addition to all of this, the lotions are hypoallergenic and Paraben free. 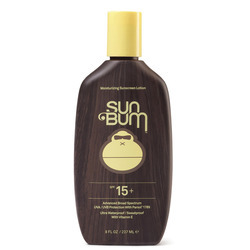 Sun Bum understands that lotion is not for everyone. This is why a full range of Sun Bum sunscreen sprays are also available. These sprays are easy to use and have a sheer continuous spray formula that dries instantly upon touching the skin. The sprays have the full range of SPFs and are also enriched with Vitamin E, hypoallergenic and Paraben free. Sun Bum offers a range of skin care products from cool hydrating lotions after a day of full sun to clear zinc oxide cream with Aloe and vitamin E for that added protection against the aging UVA rays. Protecting your lips is another consideration in terms of skin care, either on the beach, surfing or when skiing on a blue bird day in the spring. Sun Bum lip balm relieves and revitalizes your dry lips. The best thing about the lip balm is the selection of delicious flavors.